The famous crab cuisine is here! Enjoy the hot pot made with the restaurant's secret soup stock! Centrally located in Sapporo for easy access - only 2 minutes on foot from Susukino subway station! Ambience, food, service..fun and delicious way to discover Sapporo crab hotpot!..and much more ...definitively recommended ! Enjoy freshly caught and cooked crabs from Hokkaido at Sapporo Kaniya Honten, a popular crab restaurant located in what was once an old Japanese fishery! With gorgeous wooden architecture, pretty lanterns and low tables and seating for dining, this restaurant has a distinct airiness that perfectly complements their fresh flavors of their tasty cuisine. Enjoy Sapporo Kaniya Honten's wide variety of seafood and crab dishes, including queen crabs, king crabs and even some hairy crabs cooked in a range of different ways. 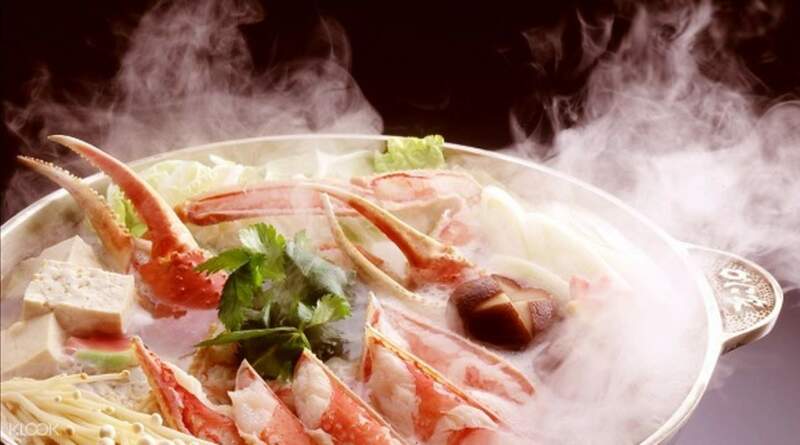 The restaurant's Suzukake Queen Crab Hot Pot Course is also a must try to sample some of their best - savor a meal set with a delicious appetizer, three seafood dishes, and a sweet dessert to end the meal! With its always delectable food, traditional Japanese vibe and light atmosphere, this is a must-visit for both local and foreign crab lovers! 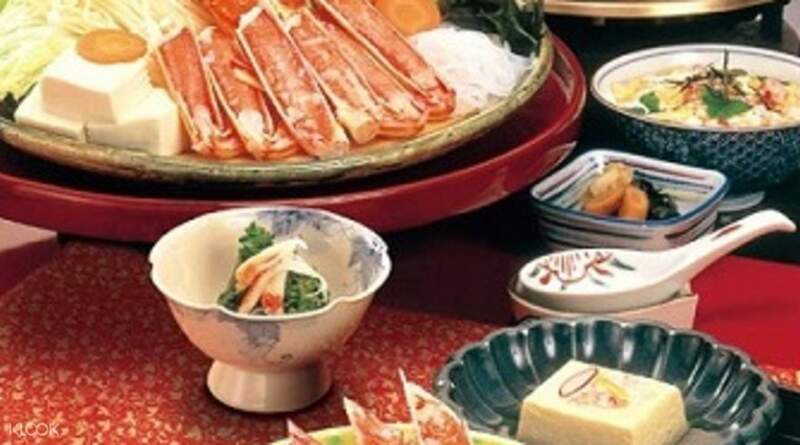 Known for its delicious crab dishes, a visit to Sapporo Kaniya Honten is a must for any crab aficionado! Enjoy the restaurant's roomy dining space that also boasts a traditional Japanese vibe with its interior! Got these at an amazing deals from one of the Klook sales! There was no queue. Amazing food and experience as we got to sit at those tatami seats (but with leg space so not that tiring). The food was great too! Love the crab courses a lot!! We were very very full!! Got these at an amazing deals from one of the Klook sales! There was no queue. 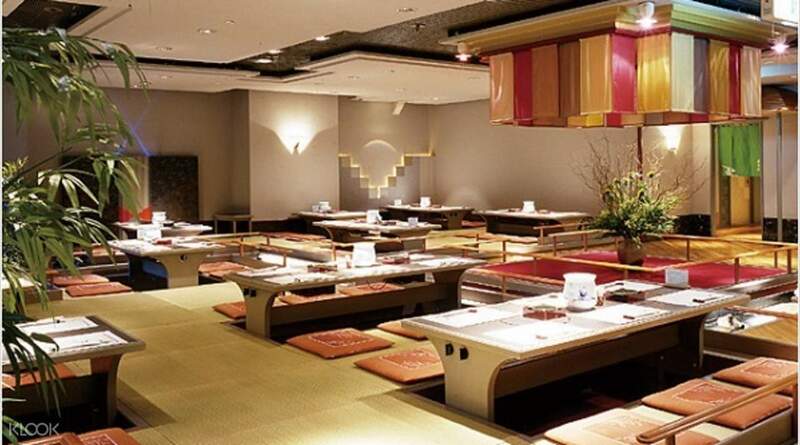 Amazing food and experience as we got to sit at those tatami seats (but with leg space so not that tiring). The food was great too! Love the crab courses a lot!! We were very very full!! Location good, easy to find. Environment is nice n atmosphere of the restaurant is just right. Foodwise, crab is fresh n hotpot is nice. Congee is yummy. Location good, easy to find. Environment is nice n atmosphere of the restaurant is just right. Foodwise, crab is fresh n hotpot is nice. Congee is yummy. Good experience to try Hokkaido crab- portion of vegetable is generous but not the crab (you been served few pieces of crab). I have been guided to the end of the hall and be seated in an empty room- service was awful as the first middle aged waitress expected me to speak Japanese to her but the second waitress was extremely friendly. Can try but I wouldn’t say must. I have purchased another much expensive package at the same dining spot from Klook too for next 2 days- let’s see how it goes. Good experience to try Hokkaido crab- portion of vegetable is generous but not the crab (you been served few pieces of crab). I have been guided to the end of the hall and be seated in an empty room- service was awful as the first middle aged waitress expected me to speak Japanese to her but the second waitress was extremely friendly. Can try but I wouldn’t say must. I have purchased another much expensive package at the same dining spot from Klook too for next 2 days- let’s see how it goes. As described by other travellers, food is tasty but portion is quite little for two. Service is not bad and porridge with crab broth is nice!! As described by other travellers, food is tasty but portion is quite little for two. Service is not bad and porridge with crab broth is nice!! Recommended place with fresh served crab cuisine. Shop is along main road,quite easy to locate. Soup is incredibly sweet with vegetables, mushrooms, and of course its crabs. If you like congee..The balance soup with all the essence is then cooked with rice and turned into congee.it is indeed a very delicious and filling meal! Recommended place with fresh served crab cuisine. Shop is along main road,quite easy to locate. Soup is incredibly sweet with vegetables, mushrooms, and of course its crabs. If you like congee..The balance soup with all the essence is then cooked with rice and turned into congee.it is indeed a very delicious and filling meal! It was probably the best and worthwhile meal we had in Sapporo! After travelling for few days in Sapporo and trying all the crabs and seafood allover the town, we were so surprise that this meal in Kaniya Honten was actually the best judging by the price and quality of food we get! (It is actually cheaper than eating ala-carte in other restaurants) Although comparatively I would prefer the Hairy Crab I had in Otaru, which is much sweeter, the Snow Crab I had in Kaniya was very good in hot pot too! Services provided to us was very much up to expectations, with the server helped to cook and serving us the dishes. The amount of Snow Crab in this package is not much but in the end we still filled ourselves up as there are too much to eat! The rice porridge cooked with the remaining broth was super good but we didn't managed to finish it all as we were so full by then! My mother loves the crab tofu a lot too! It was probably the best and worthwhile meal we had in Sapporo! After travelling for few days in Sapporo and trying all the crabs and seafood allover the town, we were so surprise that this meal in Kaniya Honten was actually the best judging by the price and quality of food we get! (It is actually cheaper than eating ala-carte in other restaurants) Although comparatively I would prefer the Hairy Crab I had in Otaru, which is much sweeter, the Snow Crab I had in Kaniya was very good in hot pot too! Services provided to us was very much up to expectations, with the server helped to cook and serving us the dishes. The amount of Snow Crab in this package is not much but in the end we still filled ourselves up as there are too much to eat! The rice porridge cooked with the remaining broth was super good but we didn't managed to finish it all as we were so full by then! My mother loves the crab tofu a lot too! Good ambience and nice restaurant. Servings can be considered small for some people. Not so easy to find the restaurant based on the location map given unless you know Japanese language. Service was good. Good ambience and nice restaurant. Servings can be considered small for some people. Not so easy to find the restaurant based on the location map given unless you know Japanese language. Service was good. That is absolutely one of the greatest meals I had in Sapporo. In fact, I went to this restaurant every time when I am in Sapporo. Such an amazing deal for this high quality meal at unbelievable reasonable price. The Klook even provide an one stop service from voucher purchase to table reservation. That is absolutely one of the greatest meals I had in Sapporo. In fact, I went to this restaurant every time when I am in Sapporo. Such an amazing deal for this high quality meal at unbelievable reasonable price. The Klook even provide an one stop service from voucher purchase to table reservation. Good food good environment good location. Yet the service has to be improved. Good food good environment good location. Yet the service has to be improved.